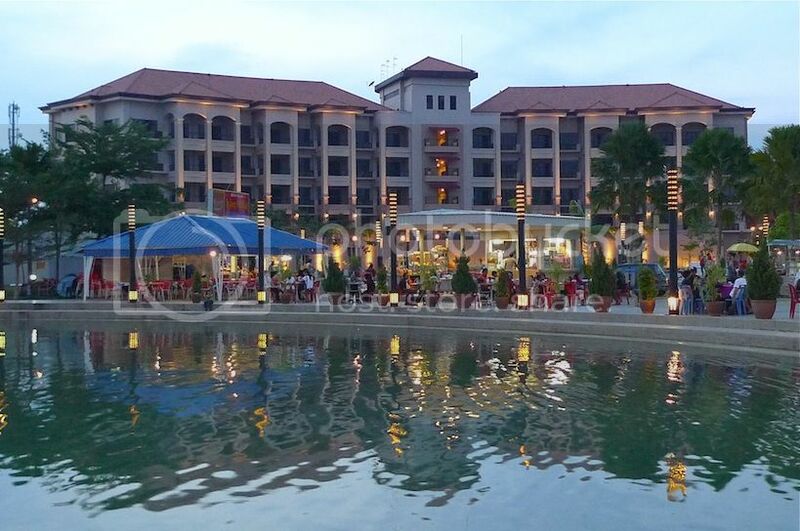 There were many activities and packages available at Belum Rainforest Resort. 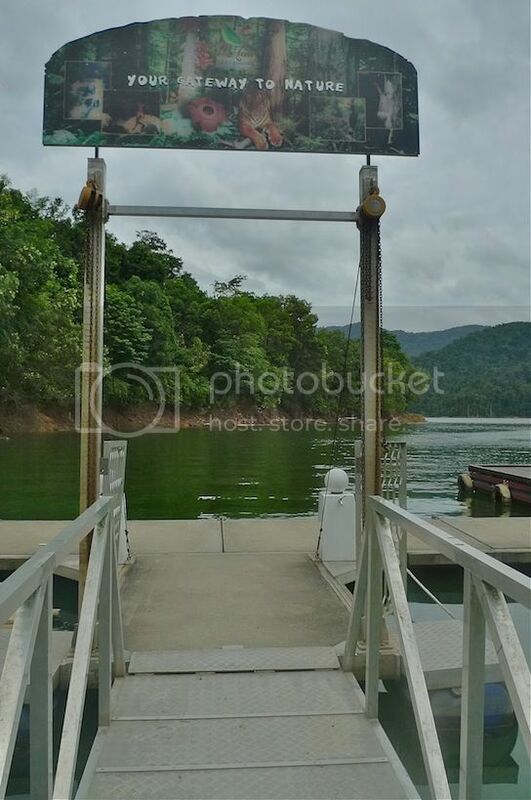 And just like Kenyir Resort and Spa at Kenyir Lake, you must pay for all the activities. But most of them were a little bit too pricey so we had a hard time deciding on which activities to choose. 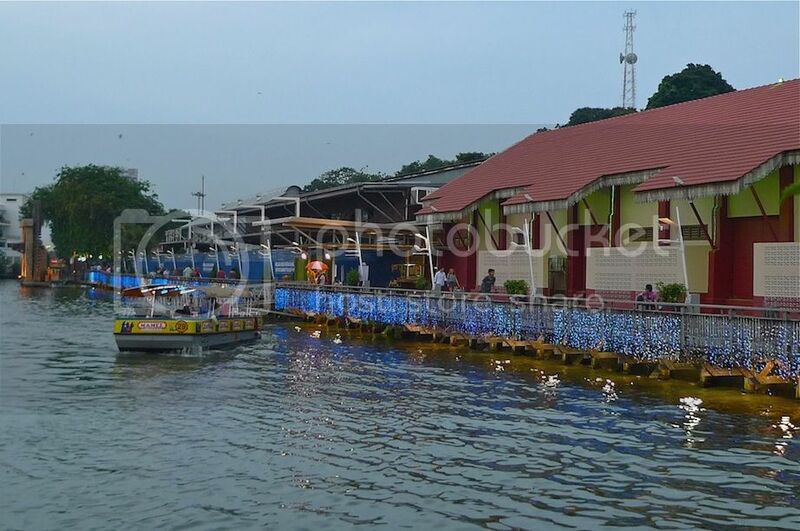 Some of the activities you can do at Belum include kayaking, fishing, jungle trekking, picnic by the waterfalls, Rafflesia-sighting, visiting Orang Asli settlement, round island cruise, and night-walking. 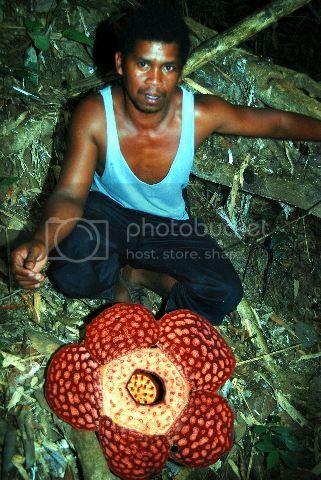 We had wanted to go for Rafflesia-sighting but unfortunately, we were told that it was not the flowering season. We ended up paying RM100 per pax for jungle trekking to the waterfall. It sounds expensive right? But in reality it's not as there is a tour guide and the boat journey to the waterfall area is quite far - it took us about 30 minutes. Anyway, if you ever decide to visit Belum, be prepared to pay or you will feel bored as there will be nothing else to do! Unless, of course that's what you want - do nothing. We did not have much time to go for any of the activities on our first day since we arrived there pretty late at about 3pm. So it was just a relaxing first day for us. Unfortunately, because there were no TVs and wifi in our rooms, we were quite bored and ended up playing some card games and chit chatting. On our second day, we woke up early for the jungle trekking and waterfall. But first we went for our complimentary breakfast. 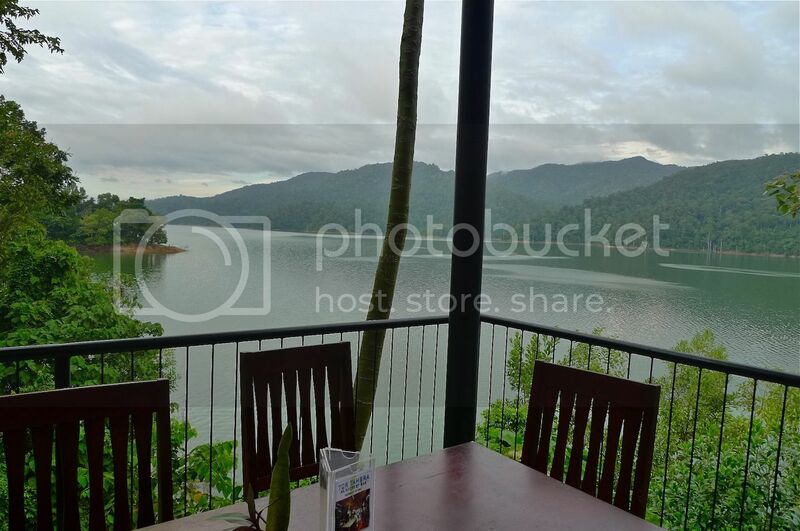 This is the view of the Temenggor Lake from our breakfast table. Nice? The restaurant actually had quite a nice ambience. There's a bar near the restaurant. Sitting here and drinking beer by the lake sounds like pretty good thing to do, right? 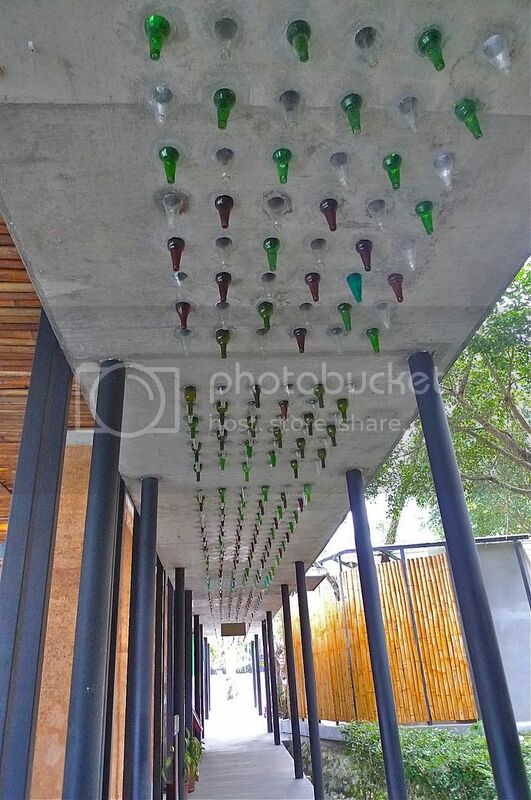 The walkway has beer bottles hanging from the ceiling! A closer shot of the ceiling. 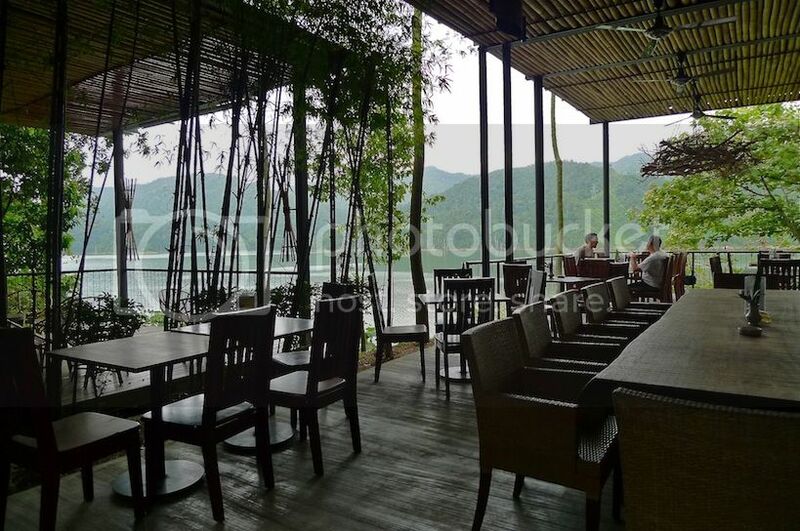 If only the food served in this restaurant is as nice as the ambience! The buffet breakfast and dinner were pretty lousy. Their ala-carte fared better, however. I decide not to show any photos of the food as they are not worth mentioning. Luckily, Eric brought some instant noodles for this trip cos that's what we ate for lunch! After our breakfast, we waited at the lobby for a while before a person in charge led us and another group of tourists to the jetty. It was a 10 minute walk to the jetty. 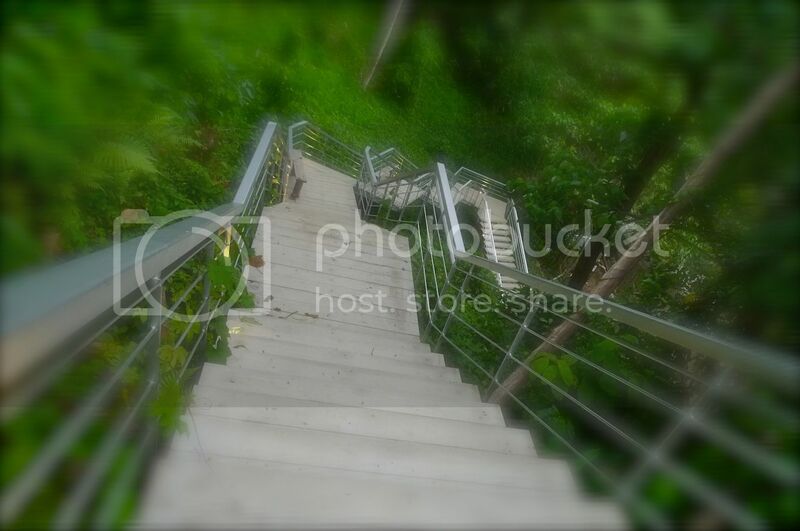 We had to descend these wooden planks staircase to reach the jetty below. This is the gateway to our adventure. Yes! There were a few boats by the jetty. We were ushered to our boat. The other group of tourists went into another boat. 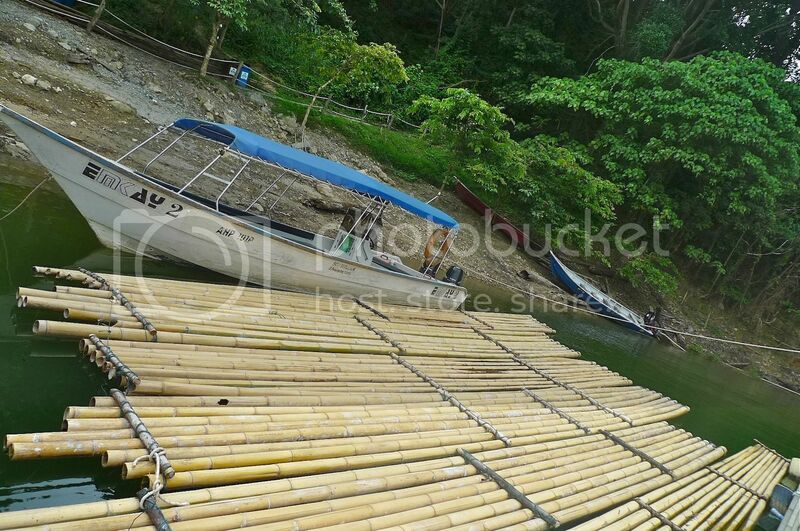 See the bamboo rafts in the picture above? I had wanted to go for kayaking on these rafts! But alas, we did not go for it. 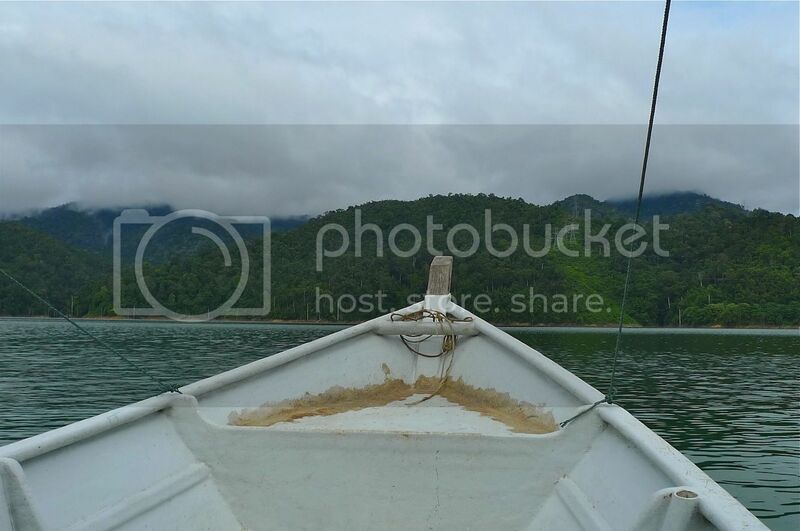 Soon, we were inside our boat ready for the journey to the jungle and the waterfall. 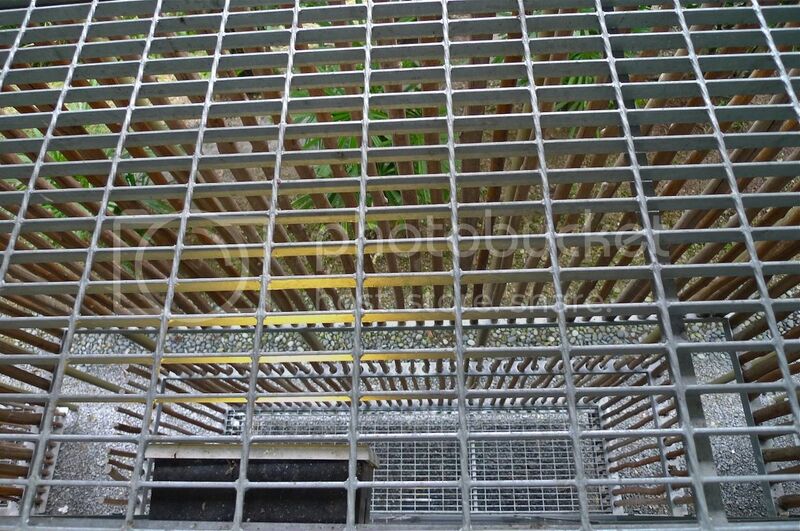 Walking in the 130 million years old tropical rainforest was quite fun except for one thing. I did not expect to be fighting the blood sucking leeches! Last month, I went for a short trip to Belum Rainforest with three blogger friends, Lionel, Caroline and Eric. It was our first time there. 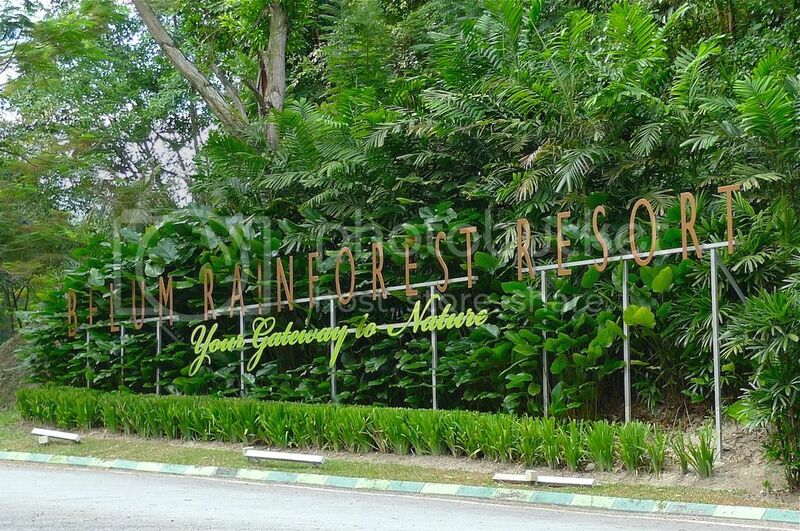 We stayed two nights at Belum Rainforest Resort at Pulau Banding. For the uninitiated, Belum Rainforest is a pristine, unspoilt forest located at the northern part of the Perak state in Malaysia. Relatively unknown, Belum is actually one of the oldest rainforests in the world, possibly older than the Amazon and the Congo. It is home to a wide variety of flora and fauna, including 14 of the world's most threatened mammals; 300 bird species, including 10 species of hornbills and 3,000 species of flowering plants, including 3 species of Rafflesia - the world's largest flower. If you are interested to know, the total size of Belum Rainforest is equivalent to 4 times the size of Singapore! 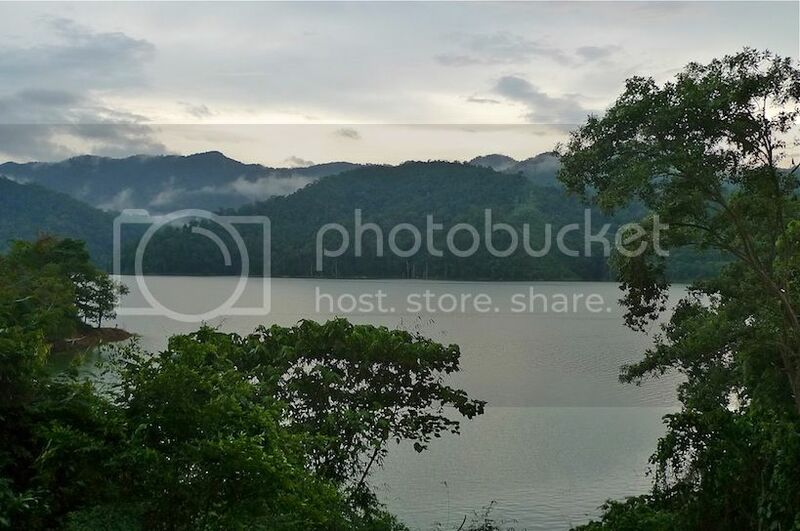 In the heart of this forest lies the man-made Temenggor Lake. 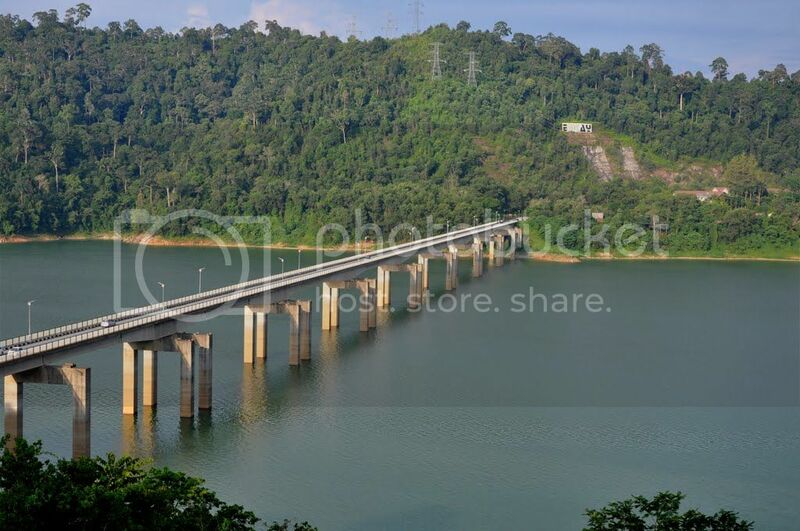 In the 1970's, Temenggor Dam was built to generate hydroelectric power, resulting in the creation of Temenggor Lake, the second largest lake in Peninsular Malaysia after Kenyir Lake. The flooding of this man-made Temenggor Lake created many islands out of what were once hilltops. One of the islands is Pulau Banding, where we were heading to. After a light breakfast at McDonald's in Bandar Utama, the four of us bundled ourselves and our luggage into Lionel's car. Lionel would be driving for the first half of the journey and I would be driving for the second half. 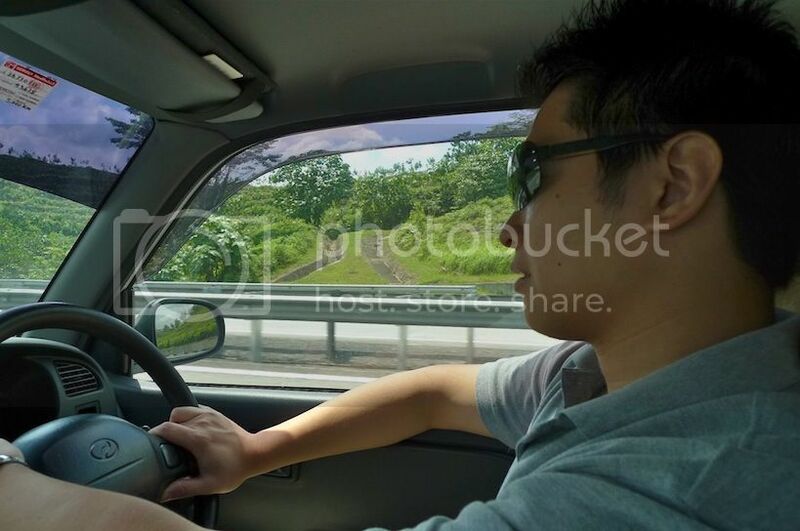 We took the North-South Expressway heading north towards Ipoh. Thankfully, Lionel had a GPS device, which was important since none of us really knew how to get to Pulau Banding! 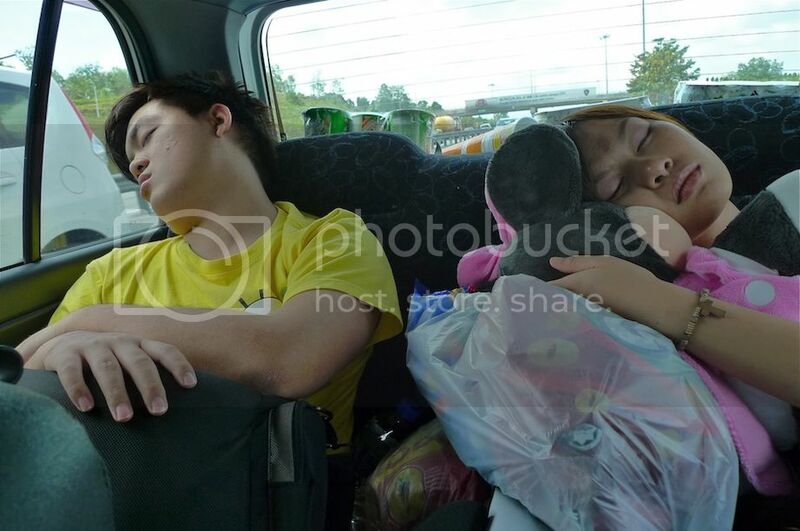 Halfway the journey, I snapped a picture of Eric and Caroline sleeping like pigs at the back! LOL! Can you see what did Caroline bring along with her? Haha! 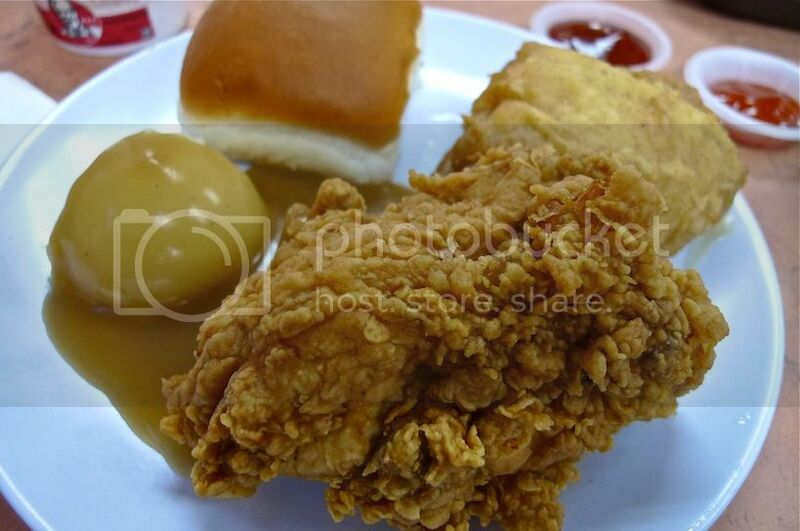 We stopped by at Tapah R&R for a much needed toilet break, as well as a lunch at KFC. It was my first time eating fast food for both breakfast and lunch on the same day! 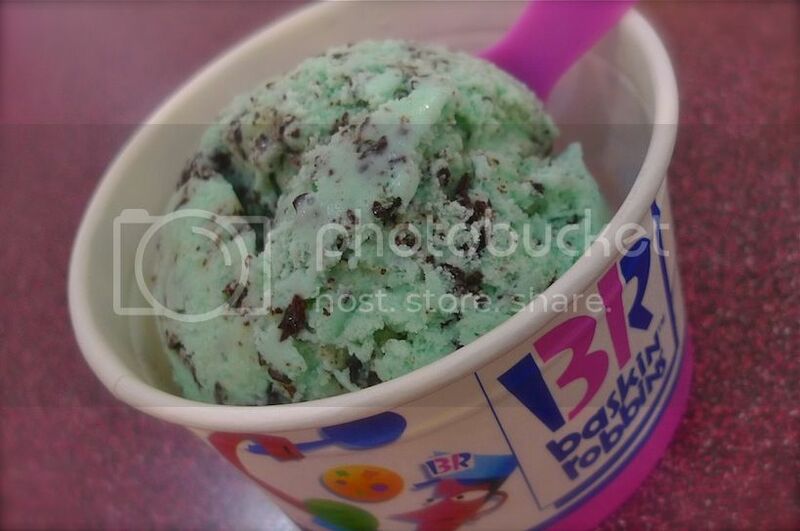 Lunch was followed by dessert at Baskin Robbins. Despite not fully recovered from my cough, I threw caution to the wind and enjoyed my mint chocolate ice cream. After that, we continued our journey. 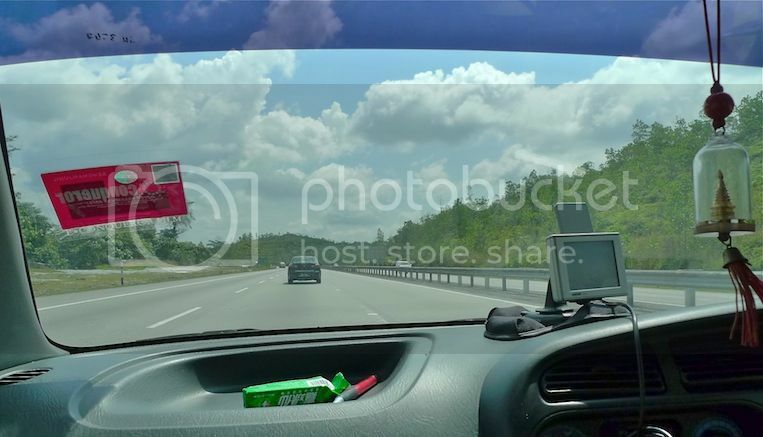 Soon, we exited the North-South Highway to Kuala Kangsar, heading towards Gerik. At a petrol station near Gerik, I took over as the driver. At first I was not used to driving Lionel's car, but after some time, I got the hang of it. The last 38km after the town of Gerik was very winding with lots of sharp bends all over, but after more than 5 hours journey, we soon caught sight of Temenggor Lake. We crossed a bridge across the lake to Pulau Banding. 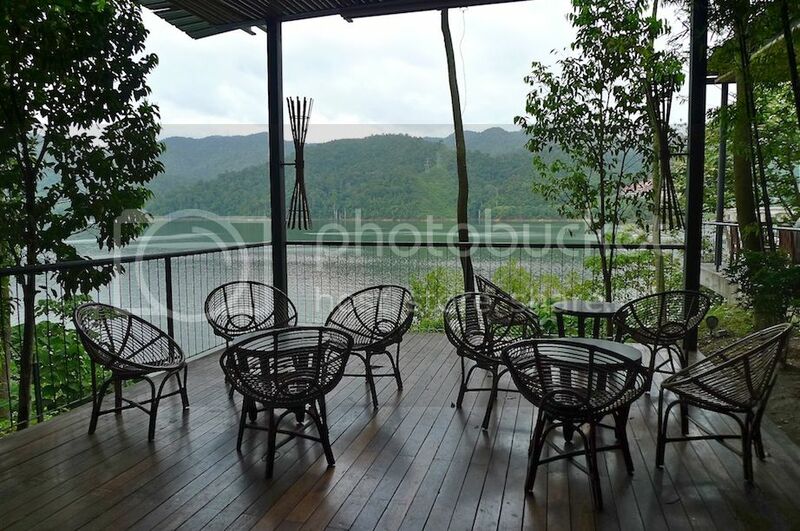 Just a short distance from the bridge, the Belum Rainforest Resort came into view. 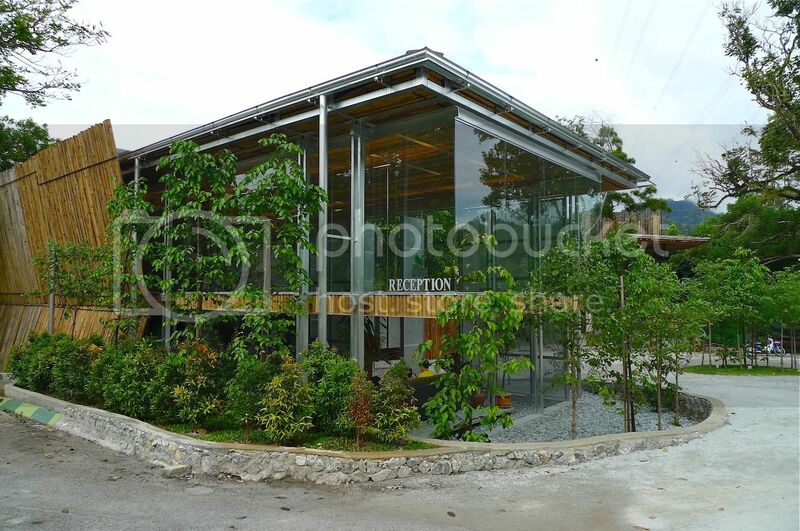 This is the Reception building of the resort. After parking the car, we went and checked ourselves in. The lobby area looked quite nice. 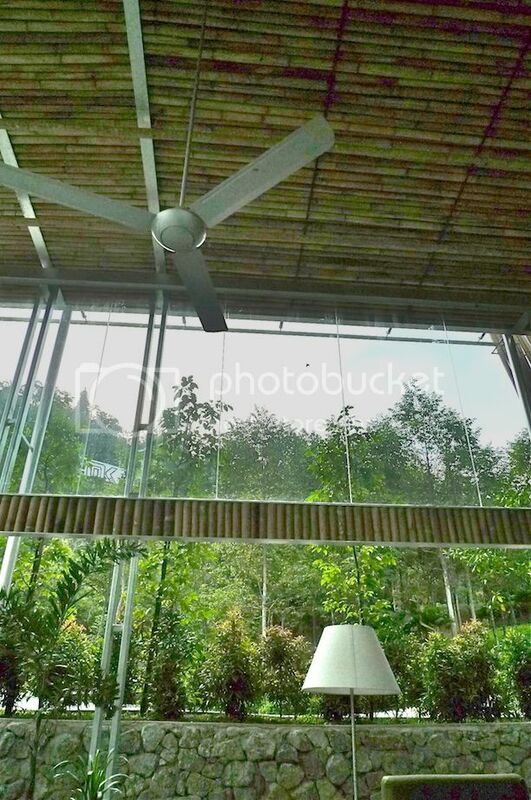 Very 'rainforest' style. 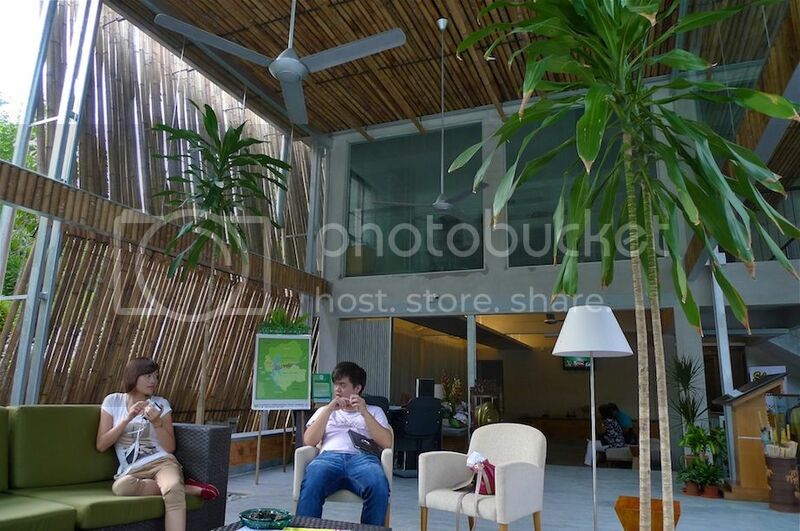 We actually spent quite a lot of time at the lobby area during our 3 days 2 nights stay here and I will tell you why in a moment. It was really quite comfortable sitting here except for insects that tend to land on you. It's the rainforest anyway, so do expect that! Our rooms were located quite far from the lobby. We had to drive the car up a hill and park there before carrying our luggage to our rooms, which was quite a distance from the car park. 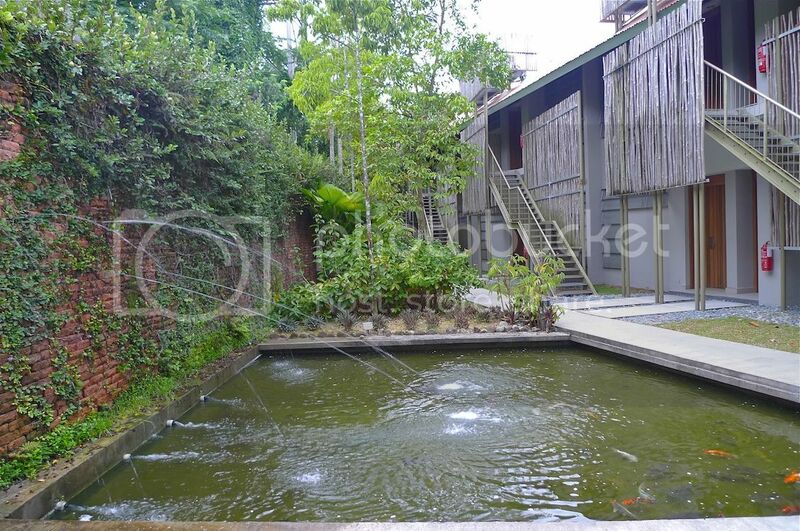 I like the pond in front of our rooms. 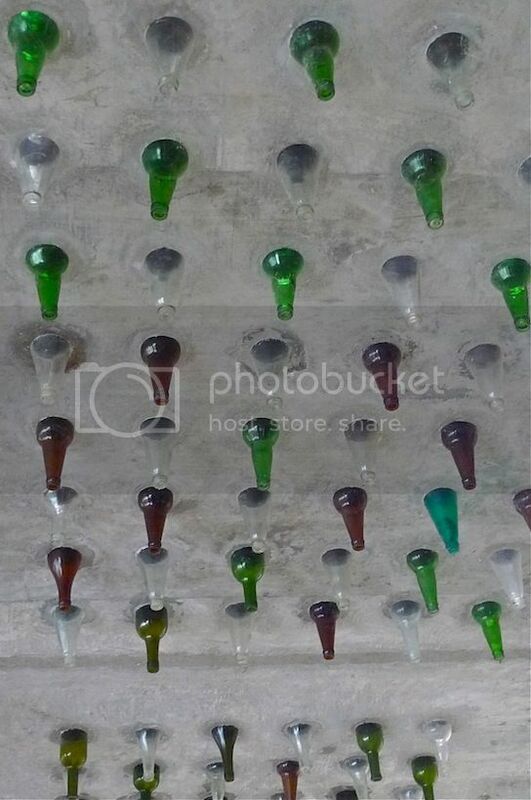 Look at those water shooting out from the brick walls! The sound of the water was calming and many times inside my room, I had mistaken them to be the sound of rain! 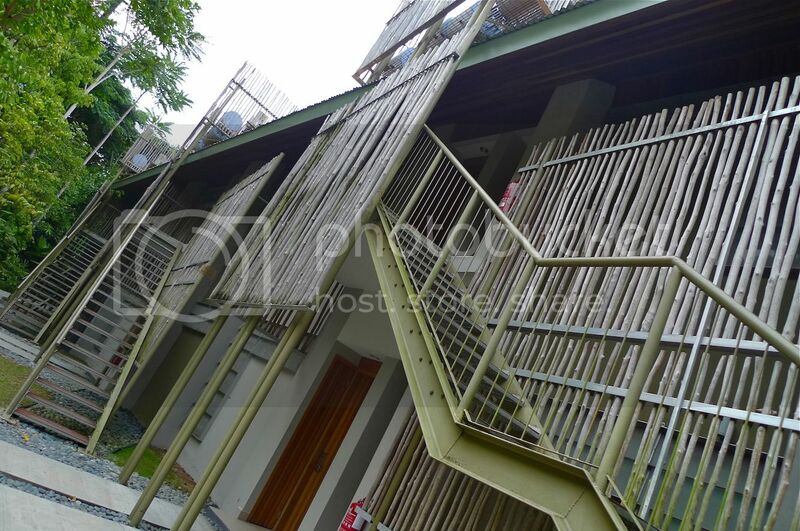 Our rooms were on the first floor and we had to walk up the stairs to reach them. This is the room where Lionel and I stayed for 2 nights. Eric and Caroline stayed in the room just next to ours. Both our rooms were connected by a door so it was very convenient for us to visit each other! Haha! The problem was, the door was a little faulty. One night, both Lionel and I crossed over to Eric and Caroline's room and forgot to bring along our room key card. We did not realize that the door had closed by itself so when we found out, it was too late! Lionel and I had effectively locked ourselves out of our own room! LOL! So we called the lobby and they sent someone to unlock the door of our room for us. That was fun! 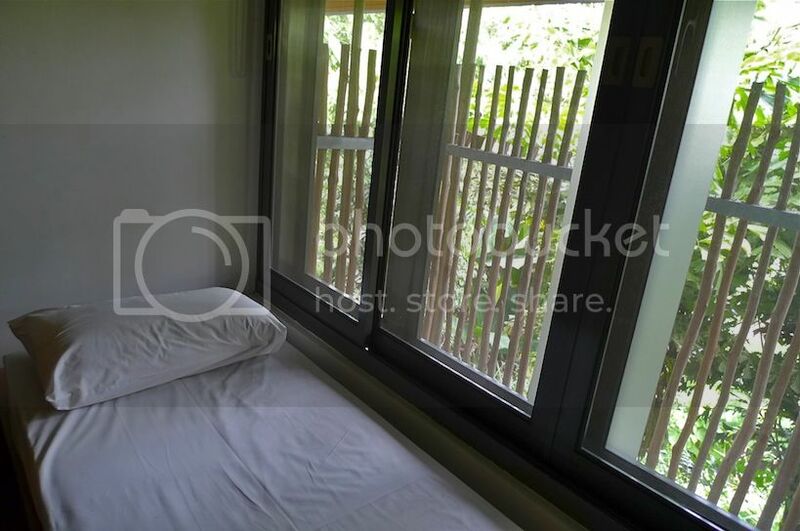 I like to lie down on this bed next to the window. Unfortunately, the scenery outside was nothing much to shout about. I was expecting a nice view of the lake but the tall trees had blocked most of the view! 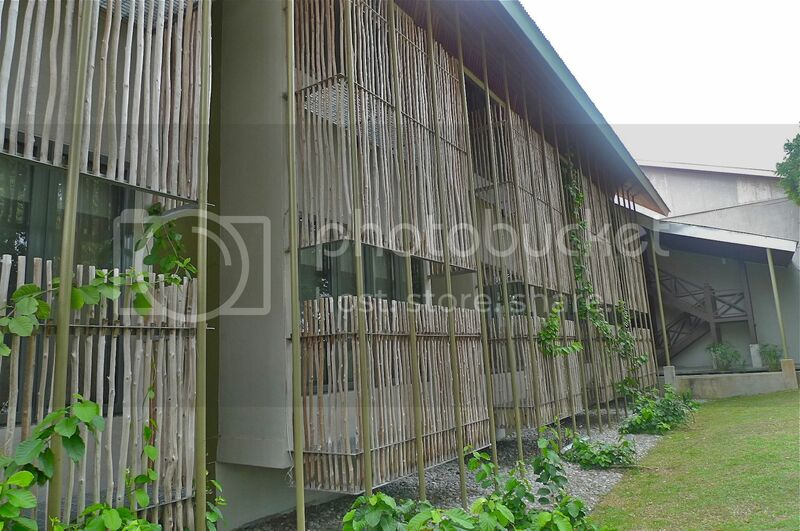 This is how the building looks like if you were too stand outside my room's window on the ground floor. The bathroom was quite clean and nice. 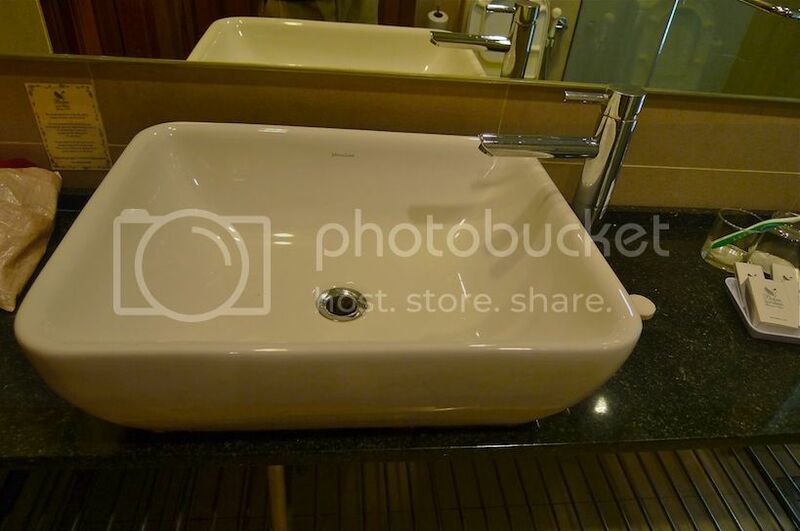 But I thought the design of the sink was pretty silly since they have no place for you to put the bar of soap. 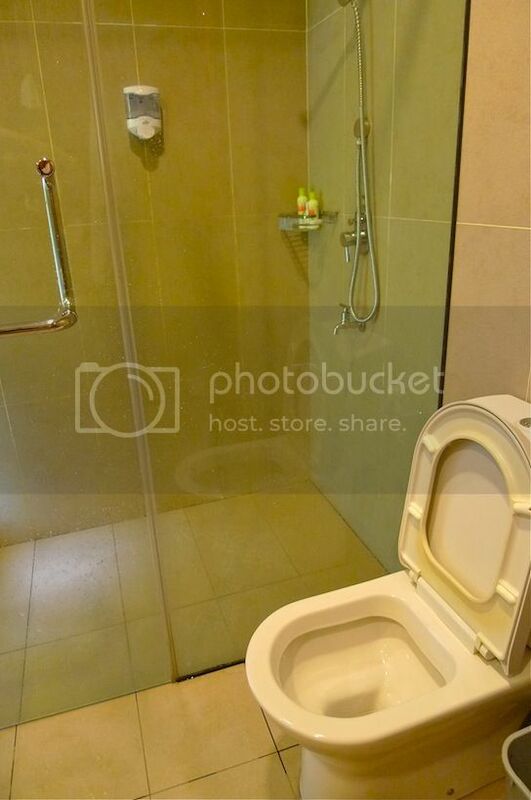 I like that the shower and toilet were separated with a shower cubicle. I love the huge rainforest shower head that was fixed on the ceiling of the bathroom. 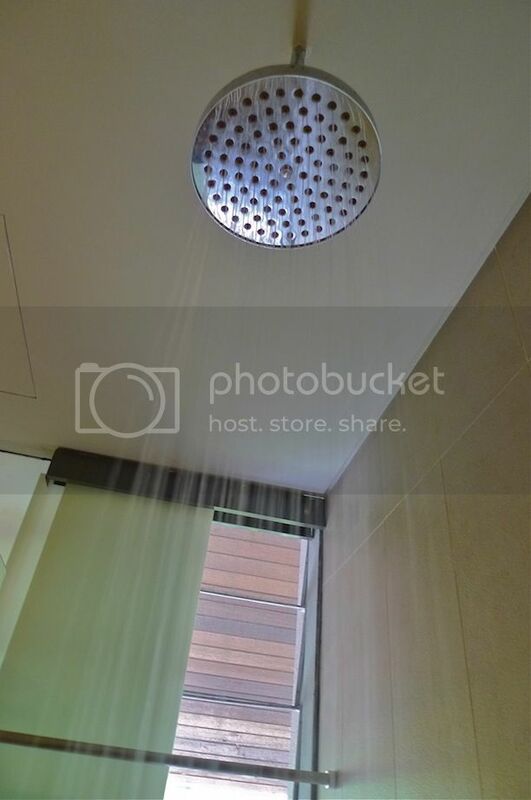 Once you have showered with a rainforest shower head, you would not want to use a normal shower head anymore. 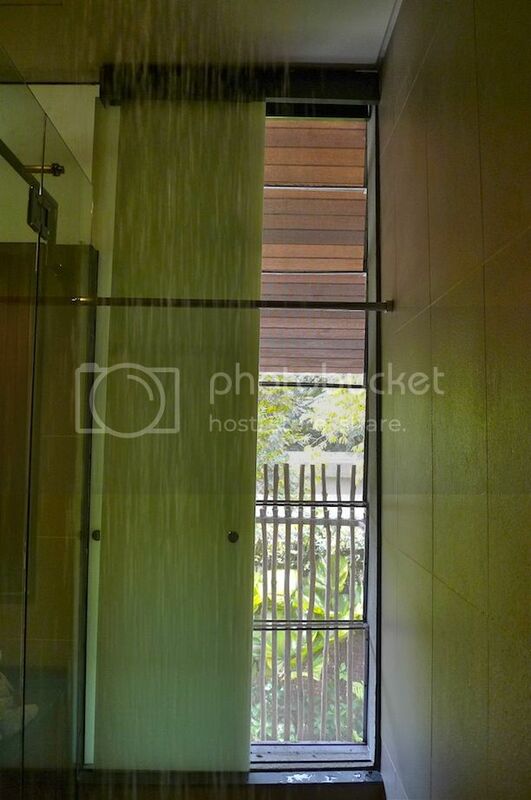 The shower mimics natural rain fall from the sky and the heavy shower of water makes you feel really clean! I enjoyed my shower a lot and actually ended up spending a longer time in the shower than I normally would. 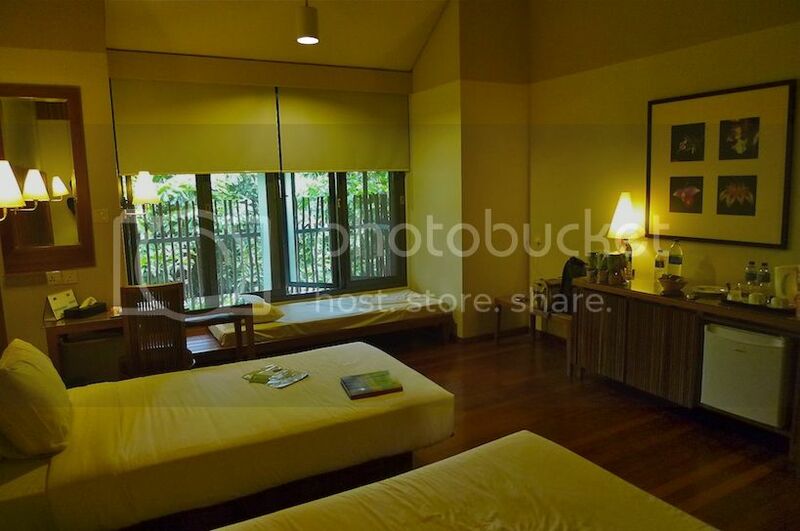 There are however two problems with the rooms here at Belum Rainforest Resort. First, there is no TV inside the room. 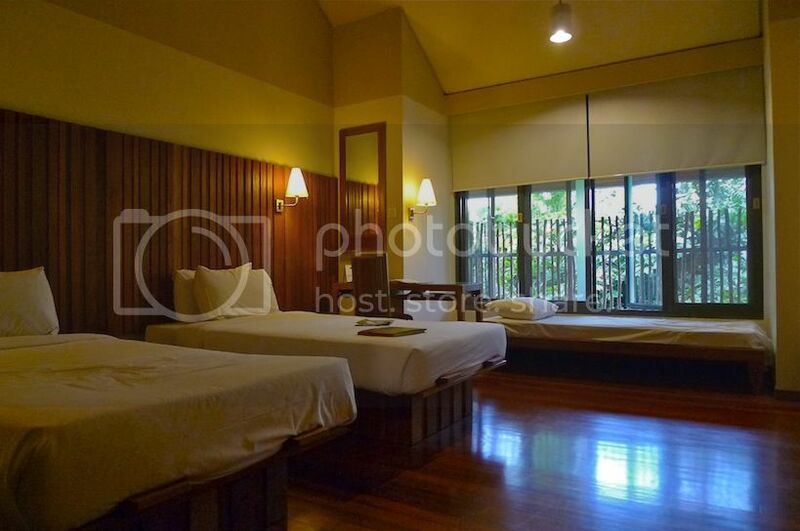 Second, wifi is non existent even though the resort claims to offer free wifi in the rooms. 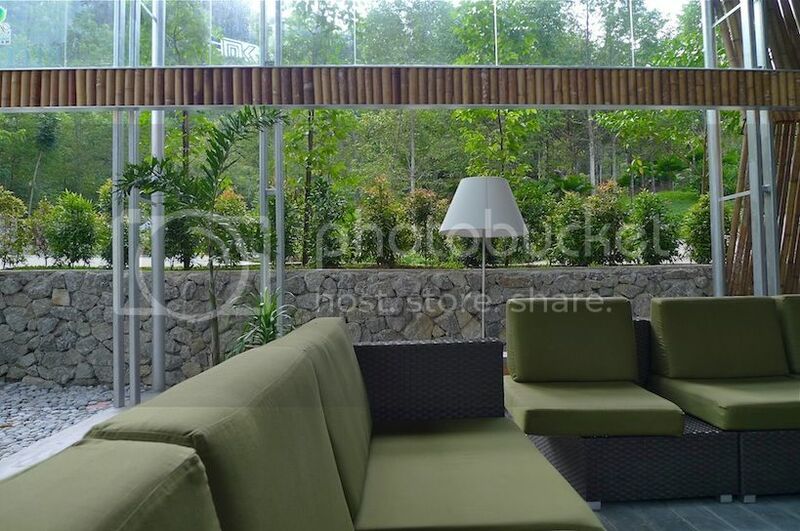 Perhaps, it was the resort's intention to make us experience the natural rainforest environment which has no TV and internet connection. But I just could not imagine staying in a resort without TV and internet to entertain me! I could see that most Western tourists have no problem with this. They were here purely for the rainforest experience! That's why you can see only us Malaysians sitting at the lobby playing with our smart phones. Haha! Now you know why I said earlier that we spent quite a lot of time at the lobby area? It was simply because we could connect to the Internet at the lobby and not in our rooms! LOL! So what did we do at Belum? That is for you to find out in Part 2. I have been yearning to watch a good horror movie for quite some time now. Horror as in ghosts and the paranormal, that is. Yesterday afternoon, I got the chance and I went for it alone. Yes, all alone. Even better, when I finally seated myself in the dark cinema hall, I counted. There were only six other people in the hall. Perfect! 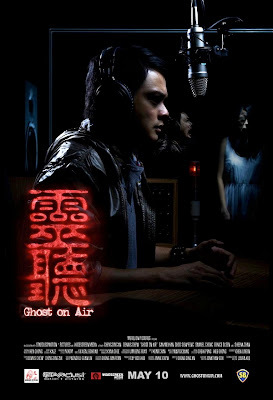 The movie in question is Ghost On Air, a made-in-Singapore ghost movie, starring famous Singaporean radio deejay of 93.3FM, Dennis Zhou Chongqing, produced by Merelion Pictures and directed by Cheng Ding An. 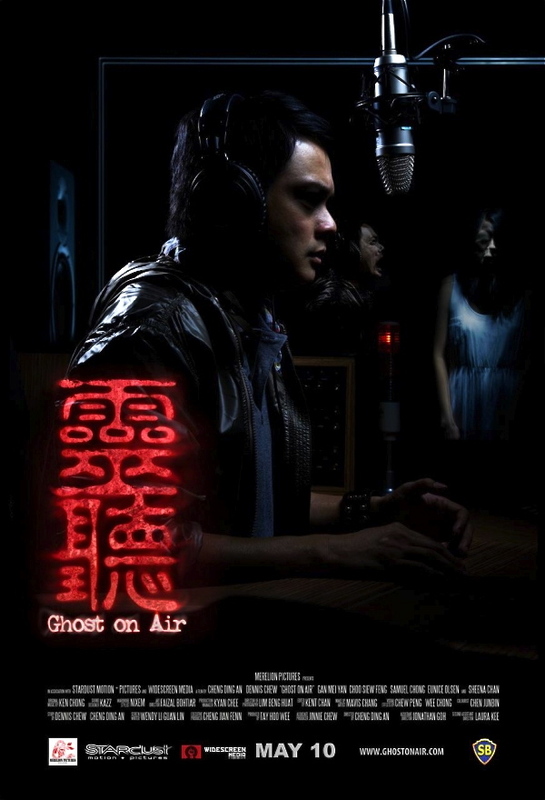 Briefly, Ghost On Air is about Ping Xiao, a two time "Most Popular DJ" award winner (played by Dennis Zhou) who is suddenly removed from his primetime morning show following bad press. Threatened by a younger uprising deejay named Pauline (played by Eunice Olsen) taking over his position, Ping Xiao forces himself to conquer the painful memories of his recently deceased girlfriend and novelist, Jia Li (played by Malaysian radio deejay Gan Mei Yan) by telling ghost stories written by her on air during the midnight slot. As he slowly regains his popularity, Ping Xiao begins to realize that the stories were not works of fiction, and decides to investigate by tracing back the path taken by his girlfriend. Soon, he becomes haunted by the very stories that he is telling on air, which leads to a terrifying conclusion. How did I find the movie? Well, despite all the bad reviews and write-ups in the media, I actually quite like this movie! Even though it's not in the same league as Pang Brother's The Eye or even Thai horror movie Shutter, I thought the movie was quite engrossing and scary. Perhaps after so many horror comedies revolving around ghosts, this movie was somewhat a pleasant change to me. There were hardly any comedy scenes or jokes in the dialogues - the story was dead serious - and scariness was cramped into almost every scene throughout the movie. The movie began promisingly enough with the haunting scene of Jia Li committing suicide in the most unusual way (I'm not revealing here - you got to watch it!) accompanied by the sound of rattle drums. Bizarre incidents were then unravelled layer by layer with the introduction of different characters - the girl who aborted her baby, the school girl who was raped and hung herself, the boy who died in the fire - but all somehow tied to the main character. Yes, there were some weakness in the plot and character development was lacking. There were also problems with uneven pacing and scenes that were changed suddenly. At times I was not sure if the protagonist was dreaming or it actually did in fact happened. But DO NOT let all these disappoint you. Acting wise, I did not put up too much expectation. I mean, the lead character is played by a real life radio deejay and not an actor, so what can you expect? However, I thought Dennis Zhou did all right, given that he did not have much experience in acting. Malaysian radio deejay Gan Mei Yan who played Jia Li, was quite natural although it's a pity she did not have enough scenes to showcase her acting talents. Eunice Olsen, who played Pauline, was a little wooden in my opinion, but it did not really affect the movie as a whole. And yes, there were the usual cliches.... Like the creepy old lady, the silhouette figure crossing the doorway, the eerie shophouse that sells joss sticks and funeral stuffs, and the female victim dripping with blood. Or the scary Chinese music from the olden days playing in the middle of the night, the ghostly hand sticking out from under the bed to touch your feet, and the act of going down on all fours and spying under the door to see if anyone or any 'thing' is inside the room. Talking about spying under the door - this kind of scene just creeps me out! For heaven's sake, why does anyone feel the need to spy under the door? If you are a horror movie fan, haven't you seen them all? I bet you have, but guess what? Despite having watched similar scenes from countless of other ghost movies, you will still be spooked by this movie! I think it has a lot to do with the movie's excellent sound effects. From the heart pumping sound of the rattle drums to the traditional horror music mixed with distorted electronic sounds, the movie is able to build up the eerie atmosphere and amplify the scare factor. Perhaps, this is where the movie succeeds in. Ultimately, a movie that manages too scare the hell out of me, despite all its flaws, is a successful movie to me! So, do I recommend this movie? Absolutely. Although the duration of the movie is a little short at only 1 hour and 20 minutes, I feel it makes the story tighter. Any longer and the movie might just become draggy. So go watch it - and do keep your eyes open! 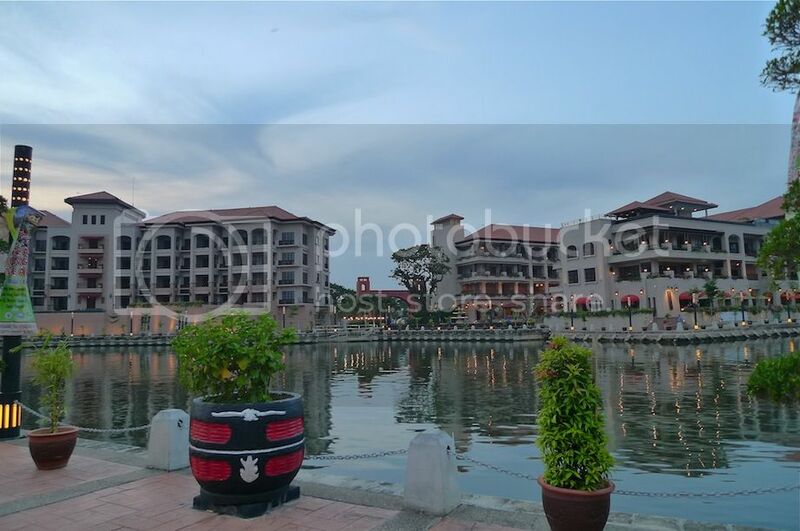 Before dinner, there were about 2 hours to kill so Joey and I went for a leisurely walk along the banks of Melaka River. 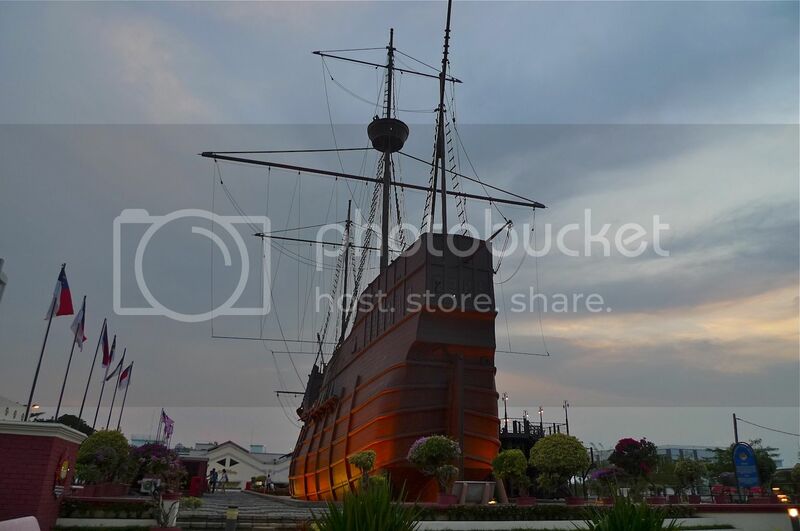 Before we reached the river, we passed by the Muzium Samudera (Maritime Museum) which was in the form of a huge Portuguese Galleon. 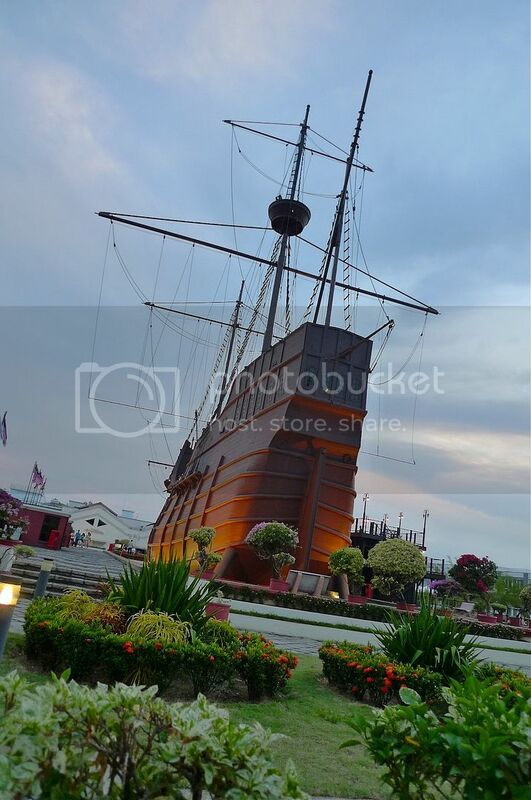 It is actually a replica of 'Flora de la Mar', a Portuguese ship that sank off the coast of Melaka while on its way to Portugal. The entry was priced at RM3, but we did not enter the museum. 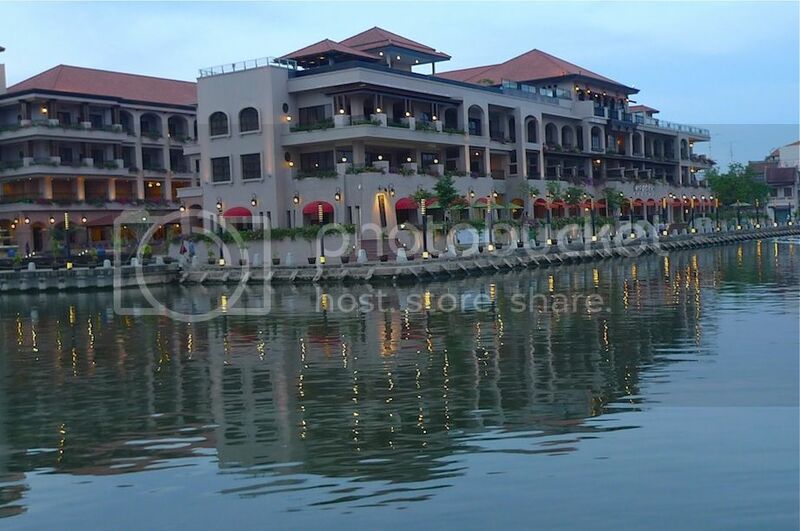 Instead, we walked over to the Melaka River. 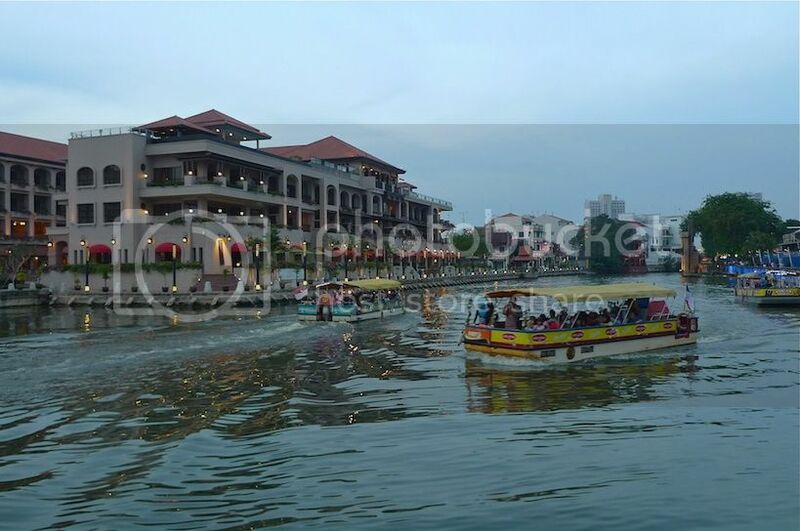 We could have taken the Melaka River Cruise but we did not as I was concerned we would not be on time for our dinner. We were supposed to meet up with a Twitter friend for dinner. 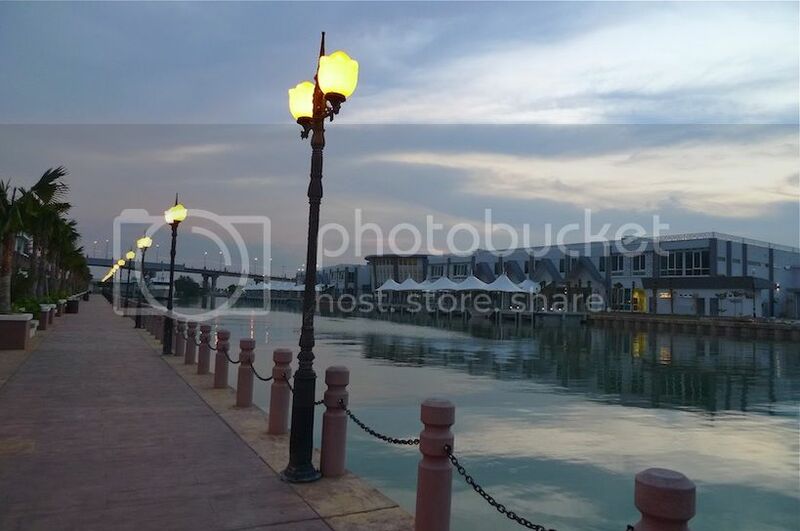 I thought the view of the Melaka River was quite beautiful in the evening. There were boats passing by. 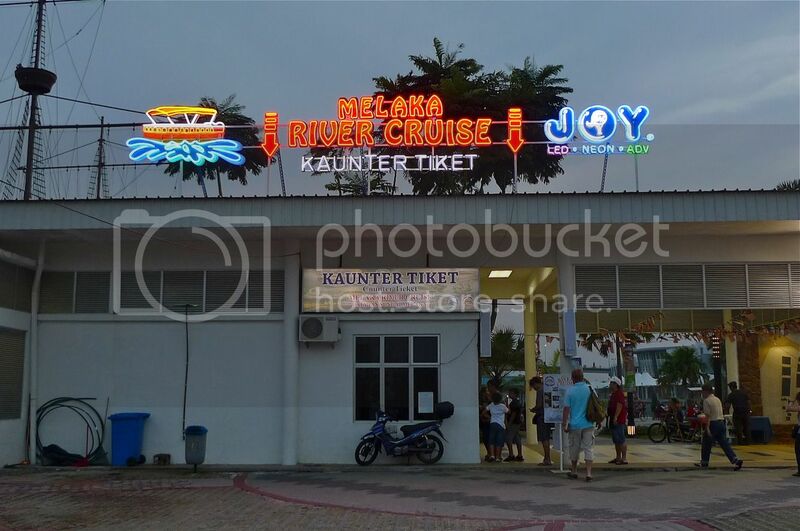 This is the ticket counter for anyone interested in the Melaka River Cruise. 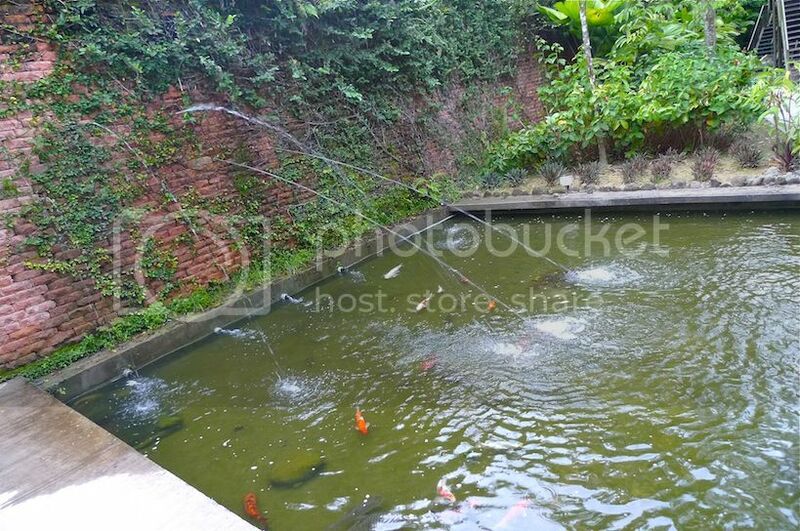 If not mistaken, I think it's priced at RM10 per adults and RM5 per child. Perhaps I would go for the boat cruise next time. 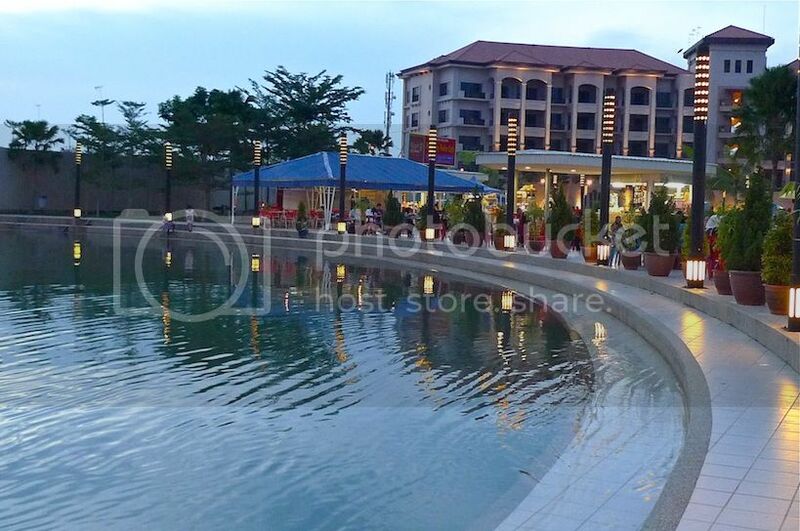 That evening, we were just contented walking around and taking photos. Soon, it was time to meet up with Pelf Nyok, a turtle researcher and conservationist whom I happened to follow on Twitter. We met up at Ban Lee Siang Restaurant for their famous satay celup. It was actually my second time eating satay celup, the first being so many years ago I could not even remember how it tasted like! And just like the chicken rice balls, I think satay celup is another overrated food in Melaka. Basically, you just dip raw or semi-cooked meat and vegetables on skewers into a boiling hot pot of peanut sauce. Joey found the sauce too spicy but I found it not spicy enough haha! It however, would be nicer if the sauce resembles more closely the normal satay peanut sauce. Look at this! 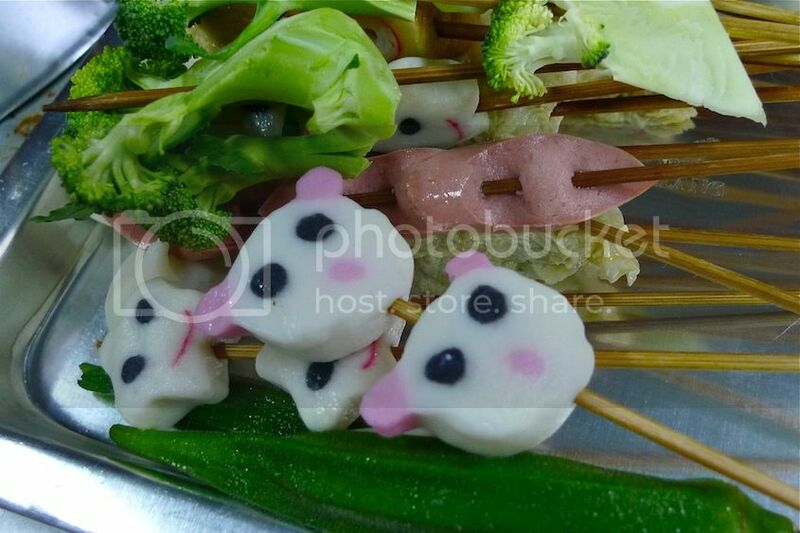 Meat shaped like faces of animals? We dared not eat them, so I just snapped a picture and return them to the tray where I took them earlier. LOL! I have one problem with the satay celup at Ban Lee Siang and it has nothing to do with the food or the taste. Rather, it's a hygiene issue. I realized they never change the peanut sauce, but kept adding to the pot when new customers arrive. Imagine the diners before us dipping the skewers back into the boiling pot after eating halfway! So unhygienic! We were of course eating recycled sauce which include the saliva and what-not of the previous diners! 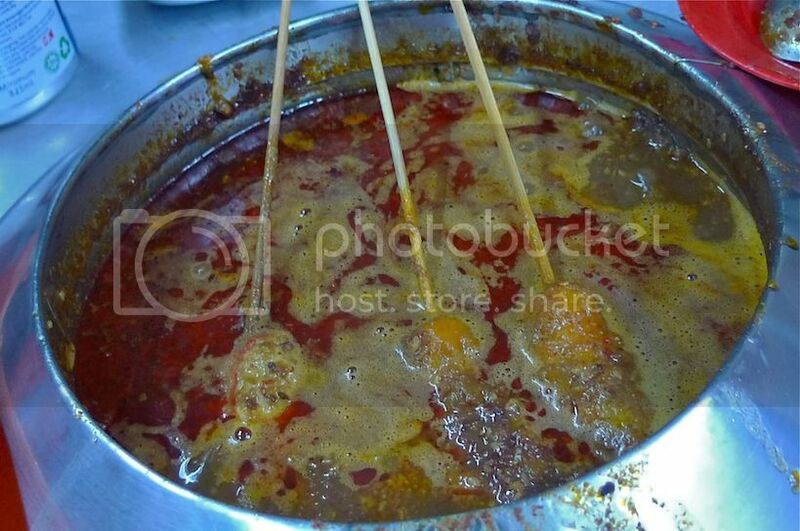 I heard that Capitol, another famous satay celup restaurant in Melaka change pots and do not use recycled sauce. But then according to Pelf, Ban Lai Siang's satay celup is tastier! Perhaps the more unhygienic the food, the better the taste? LOL! This conclude my one day trip to Melaka acting as a tour guide to my Filipino friend Joey. I happened to visit Melaka again about two weeks ago, but that will be a story for another day.